Carmine and Jesse rang in the New Year with their wedding vows at Deity in Boerum Hill, Brooklyn. Their ceremony was curated with the brilliantly simple theme of 'white and light.' The couple was flanked by two tall curly willow and dendrobium orchid arrangements, and illuminated by dozens of lanterns and candles from below. 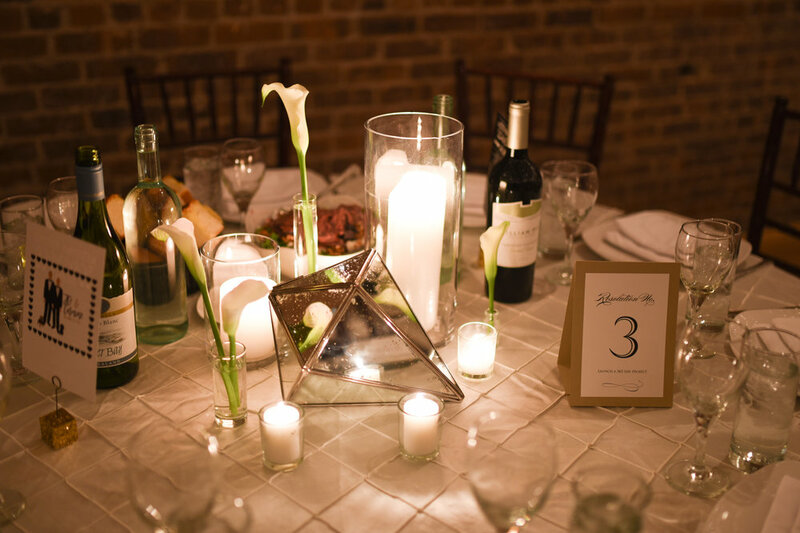 The table centerpieces were elegant and minimalist using stems of white calla lilies and candles, surrounding a geometric lantern. 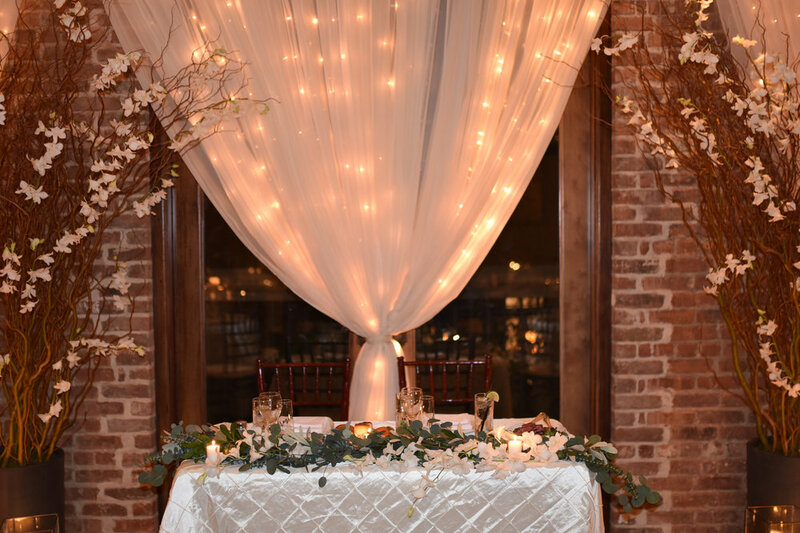 A garland of eucalyptus added soft blue tones to the sweetheart table, made more delicate yet with white orchids. We can't think of a better way to celebrate the year to come, and many more. 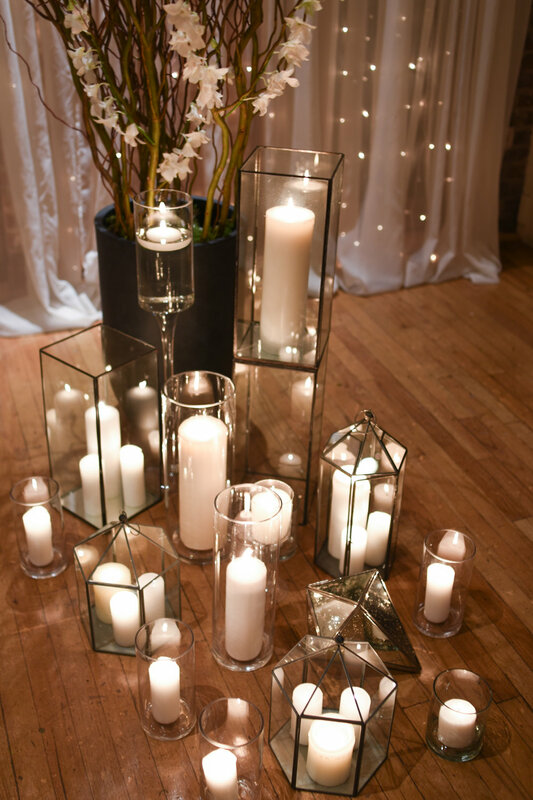 Lanterns: Some sourced by client, and rentals provided by Rosehip.